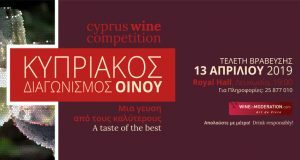 The inertia of quality as remarked by the results of 12th Cyprus Wine Competition is that winemaking in Cyprus is, year in year out, giving us some wonderful results. 194 wine competing in 3 general categories and classified depending on sweetness and varietal composition, has marked a new record of participation and is annually reinforcing the commitment of the Agricultural department to the celebration of the competition annually. A record of 60 gold medals were awarded, 5 grand golds and 5 special varietal recognition; making that a harvest of 70 superior awards, an exceptional edition incomparable with the results of last year. Congratulations to all the participants and especially to the organizers and the judges for their invaluable contribution.